In Dymola you can set parameters with identical names in multiple class instances with a single editing procedure. 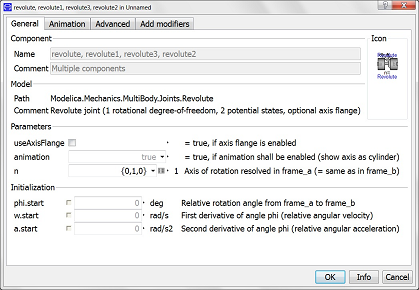 Say we wanted to modify the axis of rotation n in the four revolutes shown below. 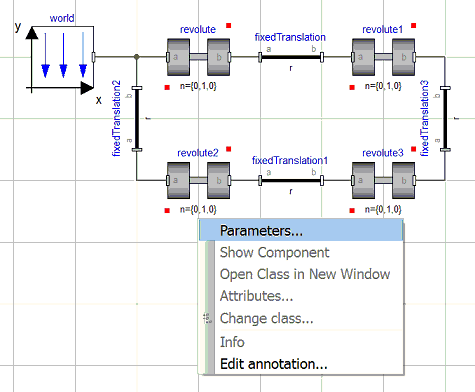 All parameters having common names within all the selected classes will now appear in the parameter dialog box.